Is your water utility preparing to install new lines or replace existing ones? If so, you may wish to consider High-density polyethylene pipe (HDPE) to get the job done. This type of pipe is known for its strength, long-term durability, affordability as well as being lightweight. Here are a couple of reasons to consider it. It’s easy on your wallet. 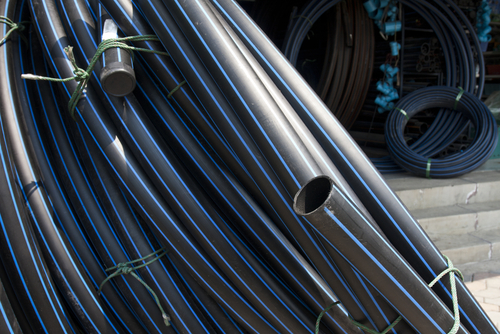 If you’re adhering to a strict budget, HDPE is a cost-effective solution. Since it is available as coils or longer sticks, there is less of a need for connections to fuse or connect the pieces together. Couplers may not be necessary, reducing cost while also improving efficiency. It’s lightweight yet highly durable. With PVC, there is a possibility the pipe may become brittle over time. HDPE is known for being flexible yet strong and it is easy to handle. If you’re dealing with difficult soil conditions, it can hold quite surprisingly well and it’s great for use in an extensive range of applications where a rigid option won’t work. Chemical and corrosion resistance. Because HDPE is made of plastic, it is extremely resistant to harsh chemicals. In other words, the pipes you place have few chances of becoming corroded, leaking or picking up contaminants.